When we think of energy, we usually think of life, productivity and vitality. Rarely do we associate energy with death, unless we are talking about the lack thereof. But life and death are of equal value, yet opposite phases of an indefinite energetic cycle. From the Big Bang to the expansion of the universe, from an exploding star to the birth of our solar system, and from the first life on this planet to the birth of man—all are cascading divisions of one source of energy. 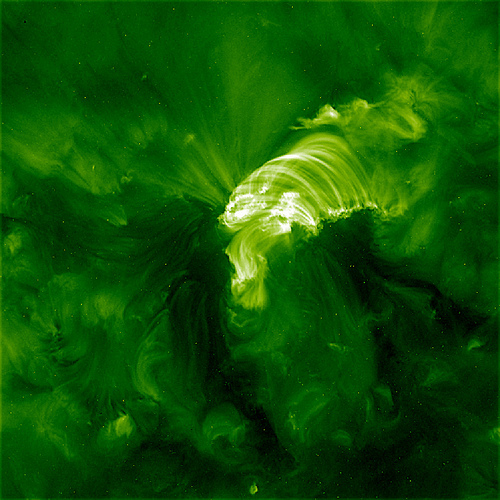 All matter in the universe is a condensation of the energy stored before the Big Bang. And every new life that comes into being is a division of that primordial energy. This philosophy permeates Chinese medical thinking. In Chinese medicine, Source Qi 源氣 is the energy that sparks our individual lives and sustains every bodily activity. And every other type of energy in our body is either a division of—or influenced by—that source. The laws of physics and thermodynamics agree as well, in that matter is energy and that neither can be created nor destroyed. They can only be divided or transformed. So life and death is really just a matter of human perspective. What we gain through life is personal experience; and what we lose through death are physical boundaries. But at any stage of life, the energy (source qi) is there. Only, after death, we can no longer call it our own. Even during an individual’s life, energy continues to divide. Cellular division is the mechanism behind regeneration and physiological maintenance. Each cell that is created is programmed for eventual death in order to make room for yet newer cells. Being made of trillions of cells, we literally live and die each day. We are called microcosms because our cellular structures are made of the same atoms that make planets and solar systems. And the same laws that apply to the universe, at large, apply to us. The qi that organizes planets in their solar systems is the same qi that maintains the structural integrity of our bodies. Just as planetary balance ensures heavenly orbits, so do our balanced bodies ensure harmony within an environment of non-stop cellular activity. This, of course, describes a healthy human being. For one who is in balance—physically, mentally and emotionally—is said to be in good health. Being out of balance means that our qi is not harmoniously coordinating our bodies’ elements (blood, hormones, neurochemicals, connective tissues, nutrients, electrolytes, etc). Natural disasters are environmental imbalances that have led to violent acts of nature, as Source Qi re-balances itself. We worry of climate change and its link to natural disasters because it threatens our species. Unfortunately—for our egos—the life span of the planet and the universe far exceeds that of man. The longevity of the planet is served by the creative-destructive force of Source Qi. Source Qi—whether in the universe, or within an individual—does not have a conscience. It only has its Way, the Tao. And that is to be in harmony… to destroy only to create, and to fulfill the energetic cycle. So if we choose to be out of balance by neglecting our bodies, Source Qi will follow the Way and accelerate the process of self-destruction. This is not to punish, but only to make way for something new—to create harmony. Universal nature is not a matter of life and death, but of recycling. The only way to prolong our participation in this cycle is by harmonizing our lives and maintaining our vitality. This is the premise of Chinese medical thought: to be in harmony with the Tao by ensuring the smooth movement of qi, renewing it, and storing it at the proper times. “The Tao gave birth to one. One gave birth to two. Two gave birth to three. Three gave birth to all things. All things carry yin and embrace yang. By blending these two breaths, they achieve balance. * Ref: Dalton, Jerry O. Tao Te Ching: A New Approach–Backwards Down the Path, (Avon Books, 1994), p. 88. When I saw your opening paragraph, what came to mind was something I learned from one of my Chinese medicine teachers – that it takes energy to die. If someone is near death but unable to make that transition because their Qi is so depleted, there are points you can hold on the feet that are helpful. I forget now whether it’s Kidney 1 or another Kidney point on the feet or something else. I used to teach Chinese Medicine to acupressure students, but it’s been 10 years since I’ve done that. Just wondering if you had encountered this idea yourself. Also brings to mind how dying in an ICU interferes with the natural process of dying. Thanks for your comment, Jan. It hits upon my fascination with the blending of medicine and culture. 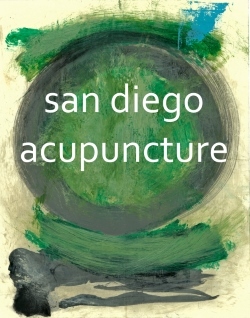 Yes I have encountered the idea of working on the feet to ease the transition, as acupuncture was one of the modalities employed at the former San Diego Hospice. This idea touches upon how our perceptions are guided by our language. If we start with the idea of qi depletion, then a Chinese medicine practitioner would instinctively look to the kidney channel, as the kidney system is the source of our vitality. There is another concept in Chinese medicine in which mental-emotional (spiritual) states are embodied within organ functions. There is a correspondence between the liver system and the ethereal spirit (our concept of soul), and between the lung system and the corporeal ‘spirit’ (basic human instincts; our ego [and possibly, id?]). So, my inclination is to relax or open the lung channel to facilitate a letting go of corporeal attachment. Working on the feet is very grounding, and therefore, soothing. My feeling is that—in guiding the transition to death—a compassionate hold on the arm (for example) would have the same effect as that on the feet.